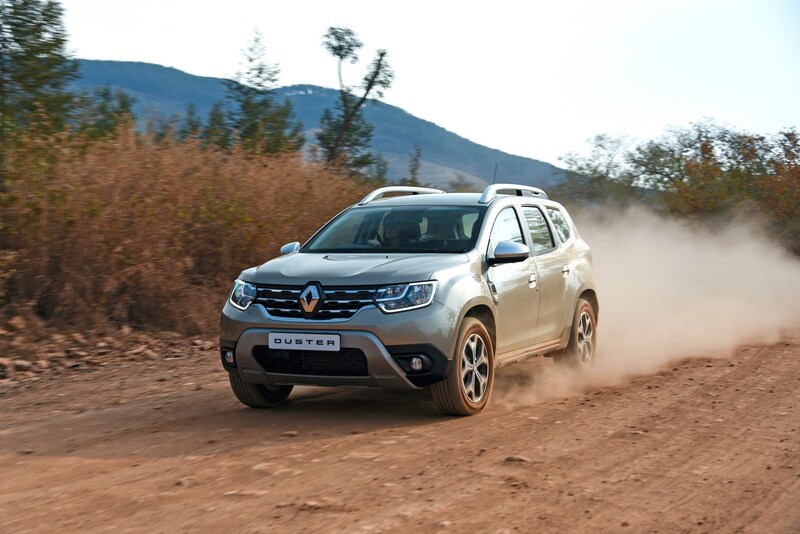 Renault chose the scenic backroads of the Lowveld to launch the newest iteration of its Duster, the compact SUV that DEON VAN DER WALT maintains can be almost all things to all people. While it can be the family vehicle capable of swallowing the missus, Gran, the kids and Sparkie’s luggage, it’s also a relatively affordable means of entering the adventure vehicle segment. 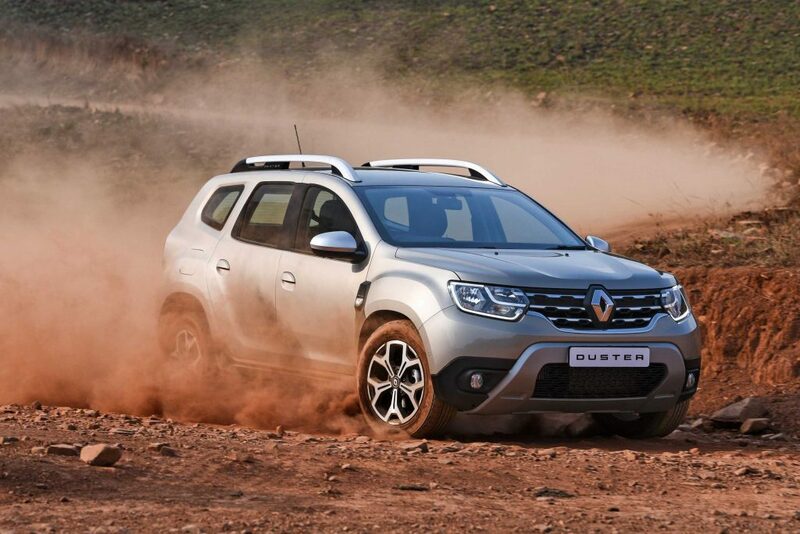 We can, therefore, tell you many things about the new Renault Duster. 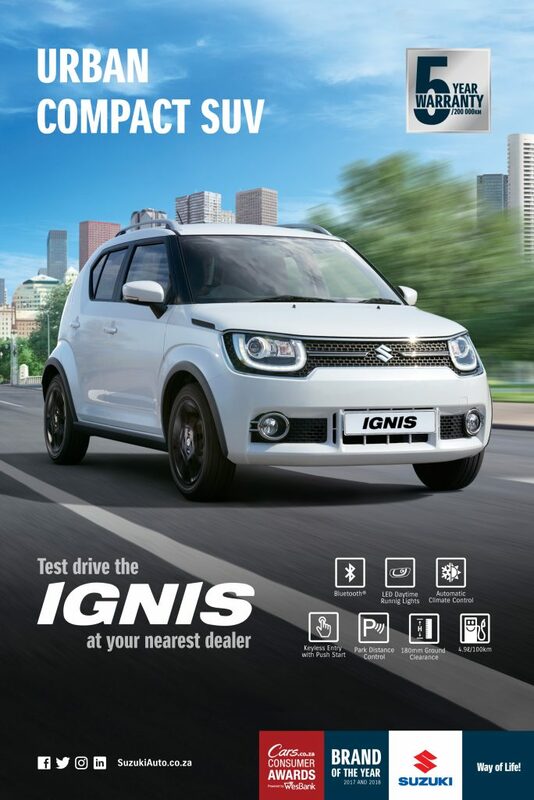 We can, for instance, tell you about its excellent fuel economy with which it sipped just over 5.0 litres of diesel per 100-kilometre stretch of winding Mpumalanga road. Or, how about the commodious 478-litre boot space? Impressive we’d say, but so too is the reworked and more upmarket interior. While all that is very factual – and we’ll get into the facts a bit later – that is not entirely what the Duster is all about. 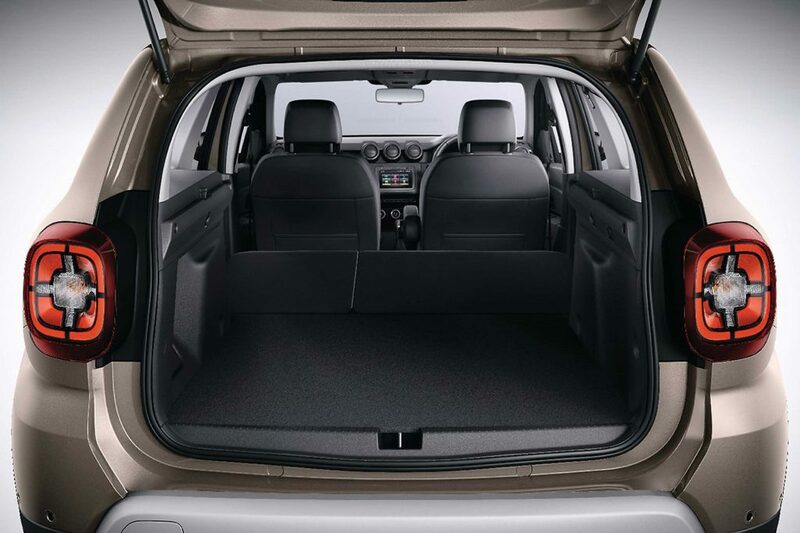 The Renault Duster, you see, is less about numbers that ring of cornering abilities and break-over angles. Engine size then? Well nope, since the engine line-up consists only of a 1.6-litre naturally aspirated petrol and a 1.5-litre turbodiesel mill. Instead, its sum and substance is, and always has been, its value-for-money factor. And at a starting price of R249,900 you get quite a lot of kit. Take the entry-level Duster 1.6 Expression 4×2: it comes with a near full-house of bells and whistles like automatic LED daytime running lights, a comprehensive list of safety equipment that includes ABS (anti-lock brakes), ESC (electronic stability control), driver and passenger airbags, and to top it off cruise control. For not much more – R282,200 to be specific – the Dynamique trim is supplemented with 16” alloy wheels, rear parking sensors and a 7” touchscreen infotainment system to name but just a few of the added nice-to-haves. The range-topping Prestige (R334,900), on the other hand, which is also the model that we tested on the local launch, brings 17” alloy wheels, a reversing and MultiView camera, as well as blind spot warning assist to the equation. 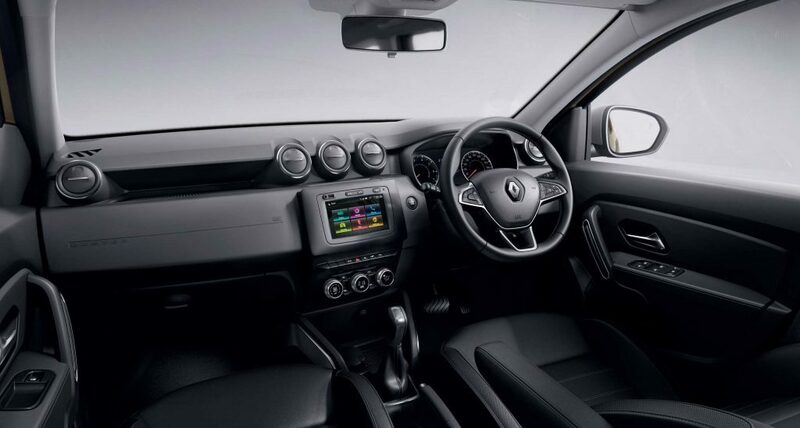 On the drive end of the scales, both the Dynamique and Prestige models are powered by the 1.5-litre oil burner turbo engine that sends power to either just the front wheels (4×2), or all fours with the Duster’s permanent all-wheel-drive system. The EDC automatic gearbox can also be specified with front-wheel-drive derivatives which is also the only option for the Prestige. Very much so. In short, Renault’s compact SUV can still do the humdrum of daily domesticity with the school- and milk-run, while, on occasion, it’s not afraid to get its outdoor boots dirty. It still has all that Duster-at-a-campfire rugged elements, wrapped in a slightly more sensible package. On the exterior front, it looks significantly less – for lack of a better term – all-thumbed than the Duster lineage we have come to know. Sure, the signature silhouette is still present but instead, it has been complemented by elements such as the C-shaped LEDs that are incorporated into the headlights and the addition of the prominently penned scuff plate that hugs the grille and rear diffuser area. Inside the cabin, the consensus is one that while well-appointed – what with a more upmarket and modern overhaul – it still features that typical robustness that’s become synonymous with this nameplate. In terms of interior appointment, the carmaker has taken an approach of not fixing what isn’t broke. The result? Well, in this instance, it worked wonders. For one, button arrangements actually make ergonomic sense with crucial features that have been rearranged for easier reach and operation. Several outdated elements like the instrument binnacle interface and plasticky steering wheel have also been retired to the parts bin and exchanged for modern and up-to-date implements. Traversing the forest routes around Sabie and Nelspruit in the Duster 1.5 dCi Prestige EDC 4×2, one theme became abundantly clear: all-round refinement. Where, once, the Duster sounded one corn-cob shy of an agricultural implement, the driving experience proved to be of quite the relaxing nature. The NVH (Noise Vibration and Harshness) levels are respectable, the EDC automatic gearbox combined with the turbodiesel mill perfectly executed right-footed commands, and it even felt quite poised through the sweeps of the Lowveld. 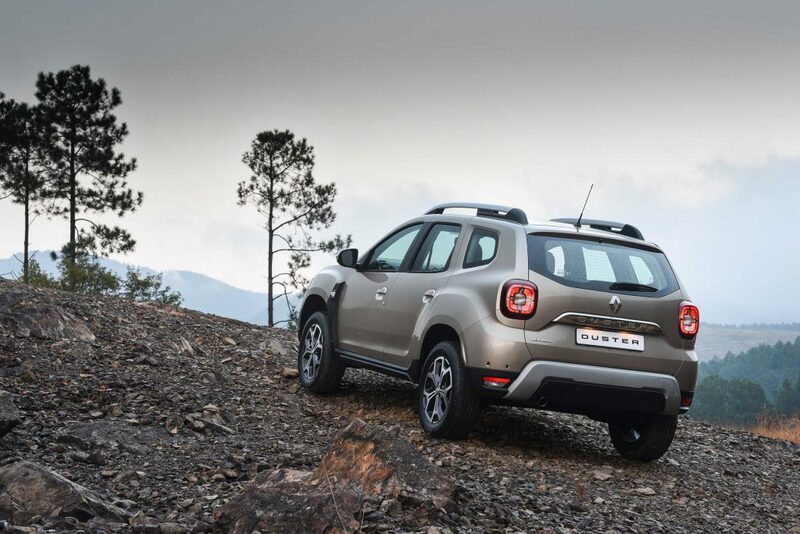 The Renault Duster then has grown up. It exchanged its backpack and t-shirt threads for a chequered shirt and blazer look. However, don’t mistake it for just a milk-run kind of SUV since our 4×2 steed tackled gravel roads with the same kind of tenacity we have come to know from this SUV. It merely exchanged its utility shorts for a brand new and better set of hiking boots well, since its heart still beats adventure.